It feels like it has been ages since I last did a maths related activity for EC and YC. Times tables are their big thing at the moment. They generally do their times table practice on an app. But I am a big believer in having different options. That way you can mix it up, and our less likely to get stuck in a rut. As I was going through our box of educational aids I came across a bag of plastic eggs which had been turned into word and maths spinners. EC and YC loved those when they were younger. Once they had finished all the problems on it, the egg would “pop” open to reveal a sweet. And if there is one thing I always have loads of, it is plastic eggs. Time to turn some of extras into times table egg spinners. Be sure to check out my maths board on Pinterest for more ideas. Don’t forget to save the pgin for later. 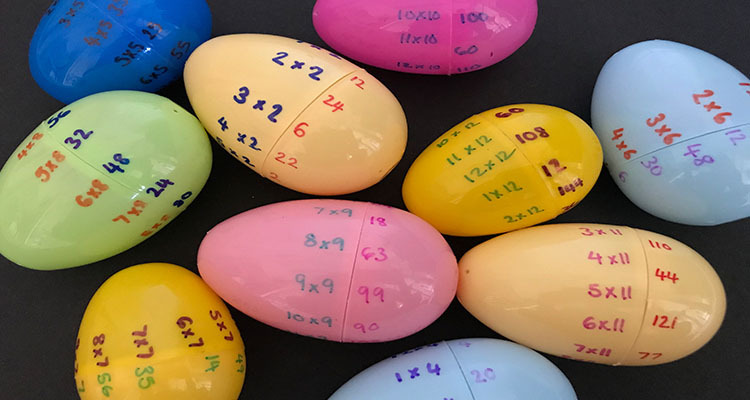 On one half of the plastic egg write out the times table. Then on the other side write the answers. Make sure you don’t write the answers in order. Mix them up a bit. 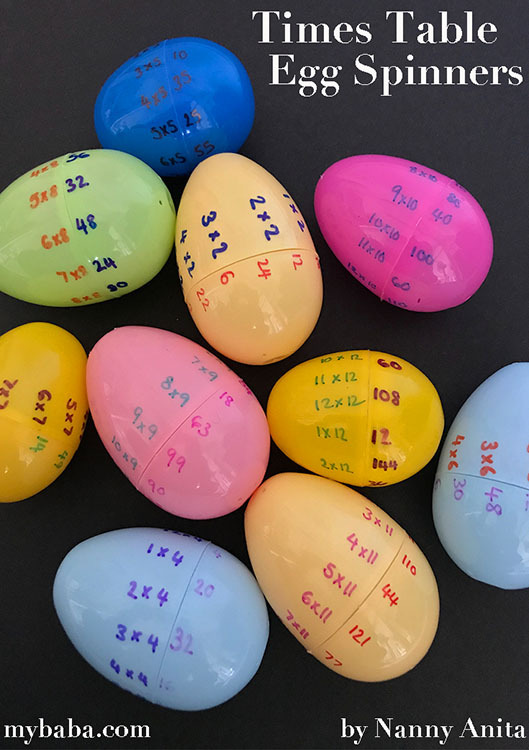 When you are ready to give your little one the times table egg spinner hide a little prize in the middle. When I gave YC her one to do, she immediately asked if I had hidden a sweet inside! It may have been about 2-3 years since we last used them, but she still remembered. These eggs are great to simple shove into a bag and doing them in the car on the way home. If you enjoyed these times table egg spinners be sure to check out my threading times table plates and my little speckled frog number game.